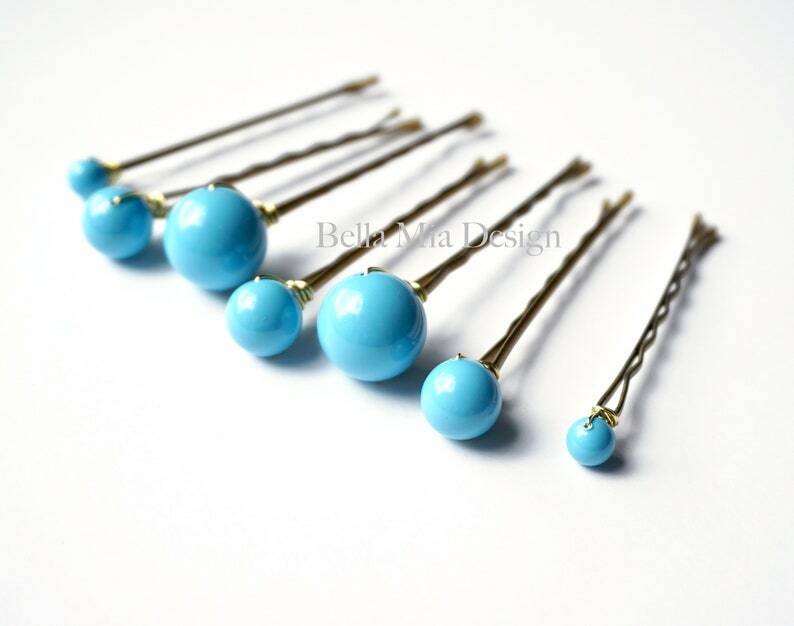 Our popular bridal pearl hair pins, now available in Swarovski's Turquoise color. 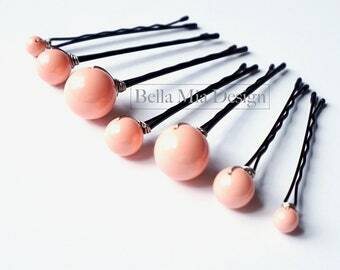 Set of 7 bobby pins. Classic but with a modern touch, these blue Swarovski crystal gemstone pearls make a beautiful statement in your hair on your wedding day. Perfect for the bride and bridesmaids at beach and traditional weddings. 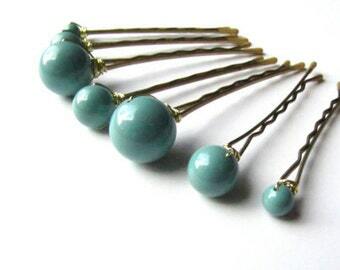 You can select your bobby pin and wire color during checkout. 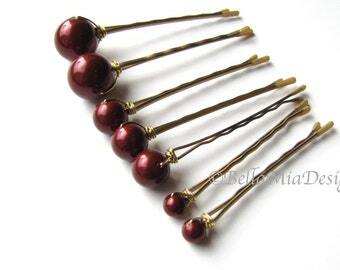 Each bead is attached to a 2 inch gripping bobby pin, secured with wire wrap styling. Need more for your bridesmaids? Please ask about multi order discounts.